Congenital anomalies of thoracic veins can be subdivided into systemic and pulmonary anomalies. This group of pathologies is not uncommon. The most common systemic thoracic venous anomalies are: persistent left superior vena cava, retroaortic left brachiocephalic vein, and azygos continuation of inferior vena cava. The pulmonary venous anomalies can be separated into partial and total anomalous returns. 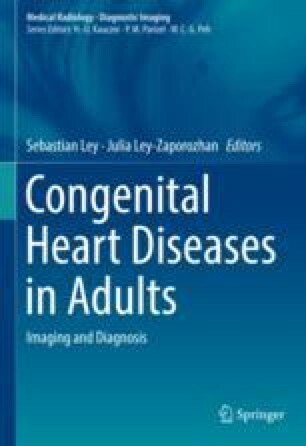 They have a broad spectrum of presentations and can be associated with other congenital heart malformations. Most systemic venous anomalies are incidental findings whereas pulmonary venous malformations can have a relatively benign course like partial anomalous pulmonary venous return to a more severe critical disease like an obstructed pulmonary venous return. Also, total anomalous pulmonary venous return induces cyanosis and should be corrected surgically as soon as possible. Although echocardiography remains the initial noninvasive imaging modality, an accurate characterization and diagnosis of these anomalies can be obtained by CT or MR imaging. However, MRI stays the cross-section modality of choice because, in addition to providing a comprehensive assessment of the cardiac anatomy, it can accurately quantify shunts, ventricular size, and function.